I've got to tell you, every time I've listen to this guy talk, I don't know what the heck he is saying. 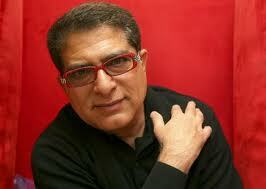 Carl Olsen has a good post on the theology of Deepak Chopra. I hereby nominate Deepak Chopra as "Most Irrational, Vicious Sham of a Shaman"
This little post about Deepak Chopra isn't going to be as impeccable and memorable as Dr. Ed Peters' post about Maureen Dowd (Note his restraint: "With a predictability that borders on banality". Borders?). But I confess that I have certain and pointed dislike for the writing and "thought" of Chopra, who I consider to be only about a half-step up from a con artist, although it could be that he has simply taken con artistry to a New (Age) level. His book, The Third Jesus: The Christ We Cannot Ignore, is quite possibly the most embarrassing, confused, illogical, and ignorant "serious" book ever written about Jesus, which is really saying something.